FFA - General Mills says NO to Pretty Little. ABC’s lesbian cast show called Pretty Little Liars is watched mostly by young girls. General Mills says NO to Pretty Little. ABC’s lesbian cast show called Pretty Little Liars is watched mostly by young girls. General Mills states they "have informed ABC Family Channel and our agencies that Pretty Little Liars is not a program that we will sponsor." ABC’s lesbian cast show called Pretty Little Liars is watched mostly by young girls. 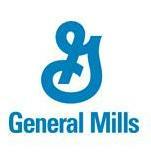 General Mills says NO to Pretty Little Liars. Most companies that stop advertising during the programs monitored by Florida Family Association do not send a written acknowledgement of their decision. However, Florida Family Association tries to inform supporters of the advertisers that do send an acknowledgement. General Mills sent Florida Family Association the following email which stated that they would not advertise again during ABC’s lesbian cast show called Pretty Little Liars which is watched mostly by young girls. We have investigated this matter and confirmed that our advertising did air as you have reported. We have informed ABC Family Channel and our agencies that Pretty Little Liars is not a program that we will sponsor. General Mills sent Florida Family Association the following email after receiving protest emails from homosexual activists in response to this article. My earlier email to you may have been misinterpreted. While this particular program is not one we sponsor, the sexual orientation of the characters was not a factor in that decision. General Mills does not make advertising placement decisions based on the sexual orientation of characters. Florida Family Association places a priority on monitoring shows which target children with homosexual propaganda and explicitly immoral content. Pretty Little Liars is one of those shows since the majority of female viewers are young girls.